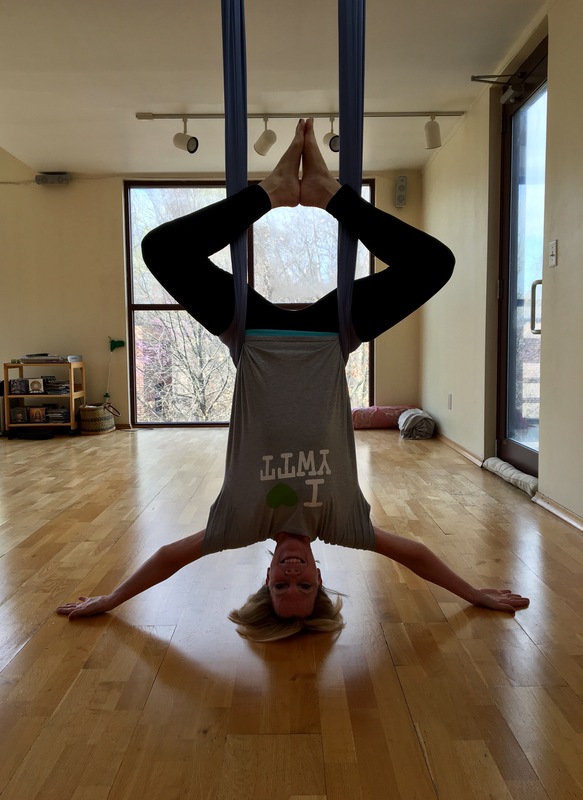 All Aerial Yoga classes, sessions and workshops are limited to 8 students per class due to materials restrictions, so classes are offered 'first come-first serve'. To secure a spot we highly suggest you pre-purchase your drop-in or reserve your spot with your Frequent Flyer Card at least 12 hrs in advance. To cancel and reschedule please call 919-933-9642. Please wear a t-shirt to cover your arm pits, remove all jewelry and arrive 10 minutes before class time to choose the proper length hammock. The AERIAL YOGA FREQUENT FLYER PASS CARDS are good for 5-10 Aerial Yoga classes and allow you to take all the Aerial Yoga classes at a discount. 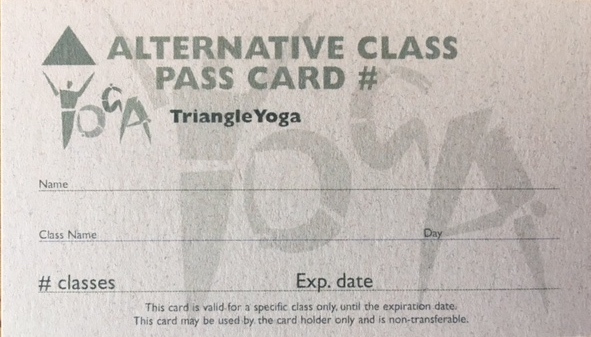 AERIAL YOGA PASS CARDS are not transferrable to other students, but never expire. A 4% fee will be added to cover all online credit cards fees. Sales are not refundable. DRESS CODE: Please wear a t-shirt to cover your arm pits, footless tights and remove all jewelry. DROP-IN REGISTRATIONS, PASS CARD RESERVATIONS, YOGA FOUNDATIONS SERIES and FREQUENT FLYER CARDS. The day you choose to drop-in will be scheduled on the next calendar day of the week.